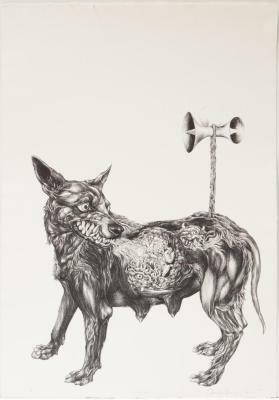 Osvaldo Ramirez Castillo, Dogs and Lambs, Lithograph, 8 in X 17 in, 2009. 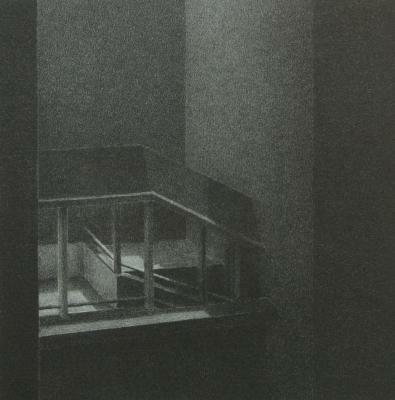 Phillip Chen, Stone Boat “A”, Lithograph, 14 in X 12 in, 1993. 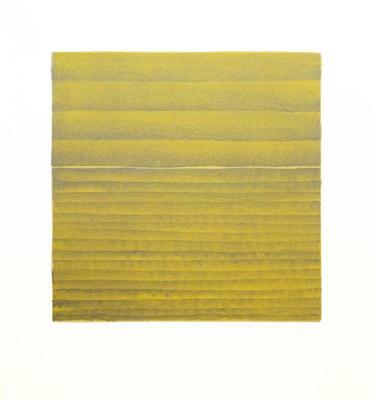 Phillip Chen;Phillip Chen, Stone Boat: Umbra , lithographic series drawn on stone , 6.5 in X 6.875 in, 1993. 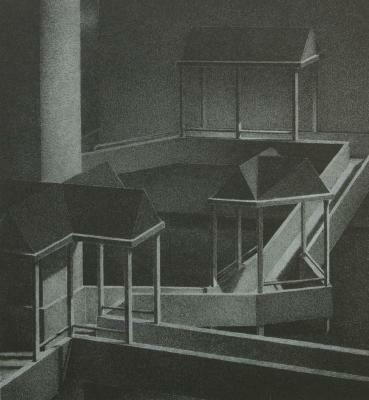 Phillip Chen, Stone Boat: Narrows , lithographic series drawn on stone , 6.875 in X 6.375 in, 1993. 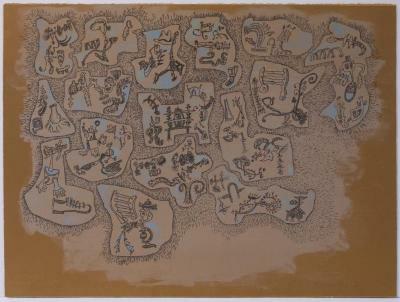 Phillip Chen, Stone Boat: Lingua , lithographic series drawn on stone , 6.125 in X 5.625 in, 1994. 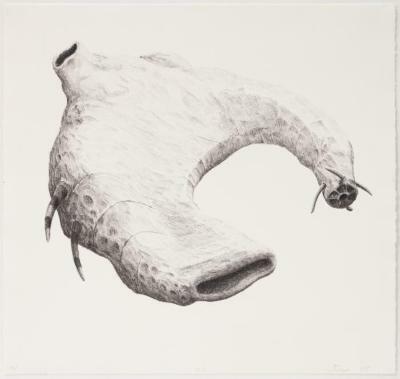 Phillip Chen, Stone Boat: Spolia , lithographic series drawn on stone , 6.25 in X 6.75 in, 1994. 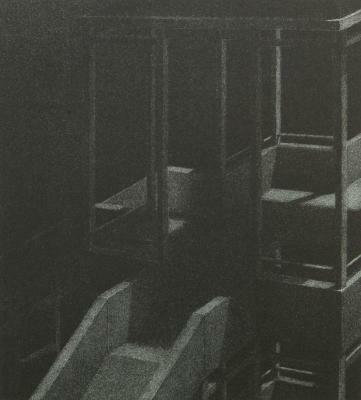 Phillip Chen, Stone Boat: Relay , lithographic series drawn on stone , 5.875 in X 5.875 in, 1994. 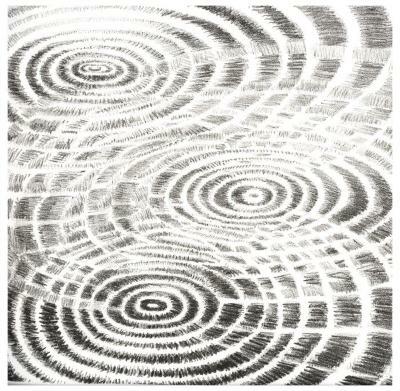 Phillip Chen, Stone Boat: Juncture , lithographic series drawn on stone , 6.125 in X 6.125 in, 1994. 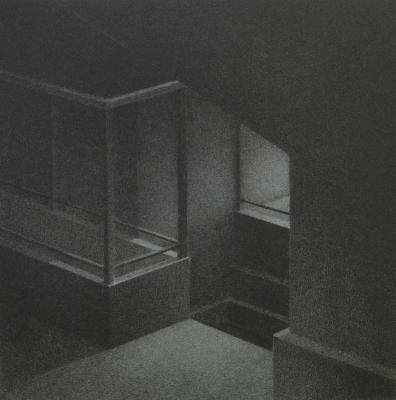 Phillip Chen, Stone Boat: Incidence , lithographic series drawn on stone , 6.375 in X 6.25 in, 1996. 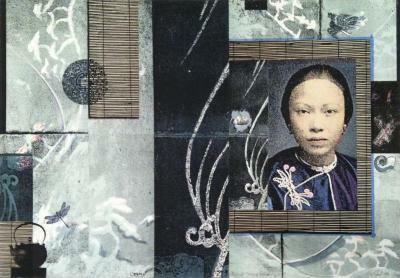 Phillip Chen, Stone Boat: Punctate , lithographic series drawn on stone , 6.875 in X 6.375 in, 1994. 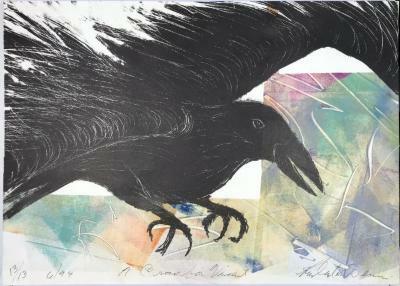 Richard Dennis, A Crow for Vincent, lithograph, 13/13, 12 in X 16 in, 1994. 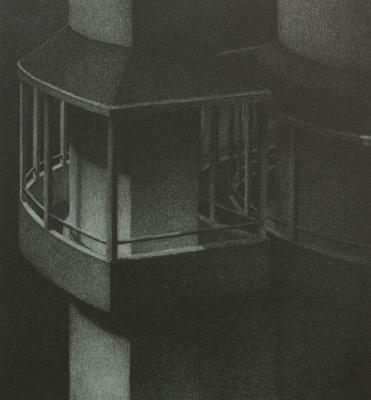 Susan Dunkerley Maguire, Perch, Lithograph, 12.75 in X 9 in, 2003. 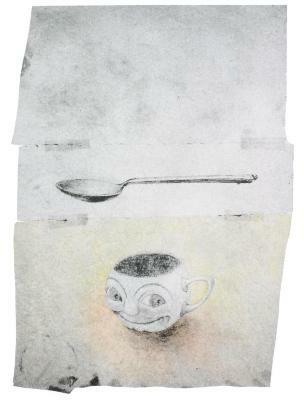 Susan Dunkerley Maguire, Sweet Tooth, Lithograph, 12.5 in X 9.25 in, 2003. 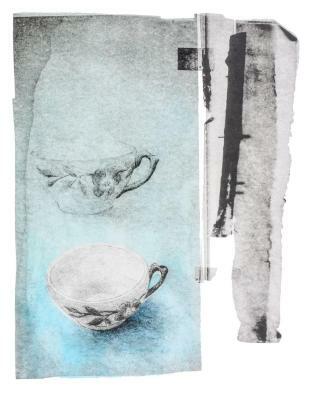 Susan Dunkerley Maguire, Let it Spill, Lithograph, 12.25 in X 9.5 in, 2003. 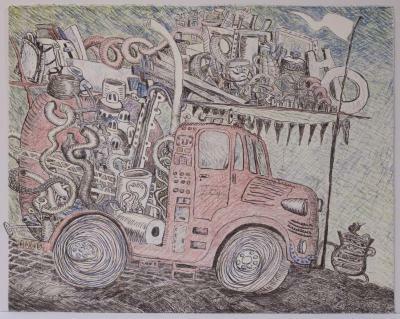 John Himmelfarb, Sweet Surrender, Lithograph, 23 in X 28 in, 2007. 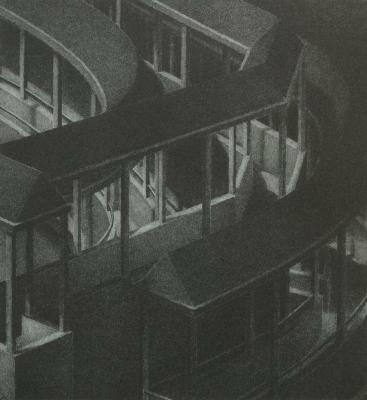 David Lantow, U.L. 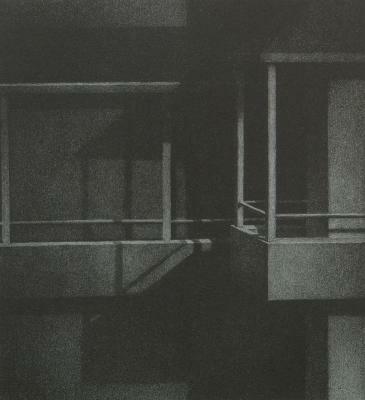 2(TP), lithograph, 14 in X 15 in, 2005. 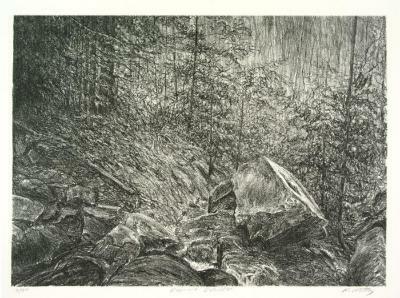 Hilary Lorenz, Uprooted Tree, Lithograph, 9.5 in X 14 in, 2001. 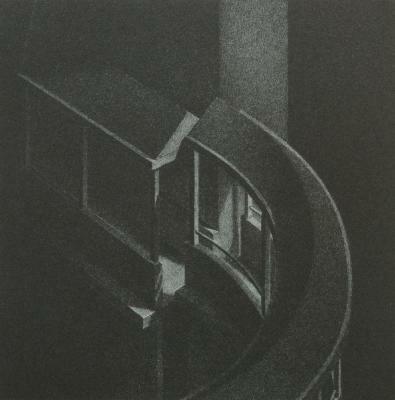 Florence Neal, Trio, Lithograph, 8.25 in X 8.375 in, 2006. 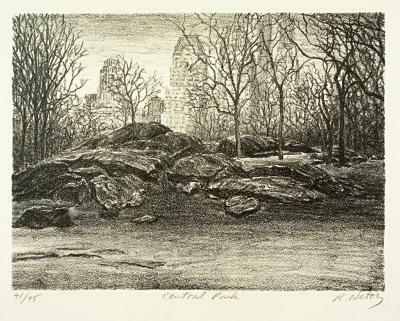 Ron Netsky, Central Park, Lithograph, 6 in X 8 in, 2004. 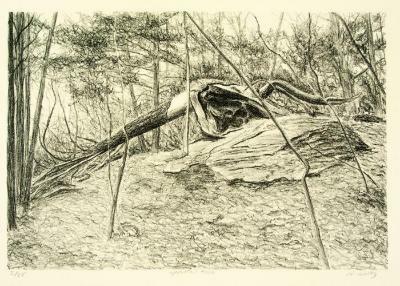 Ron Netsky, Uprooted Tree, lithograph, 9.5 in X 14 in, 2001. 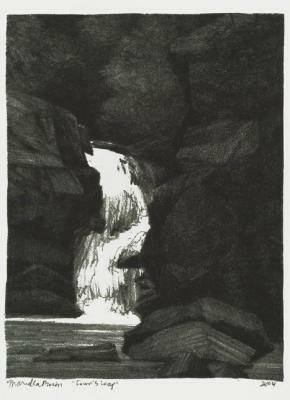 Ron Netsky, Diamond Boulder, Lithograph, 11 in X 15 in, 2004. 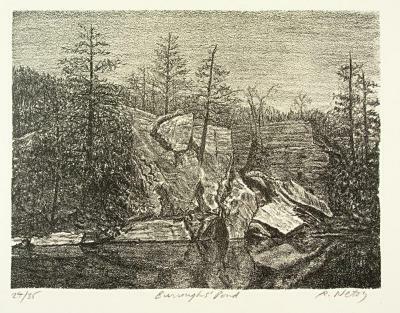 Ron Netsky, Burrough’s Pond, Printmaking, 6 in X 8 in, 2004. 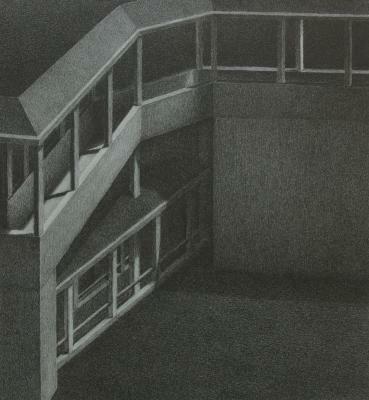 Maddy Rosenberg, Salzburg Portfolio, Lithographs, 19/20 (artist's book of 6 prints), 13.5 in X 10.25 in, 2001. 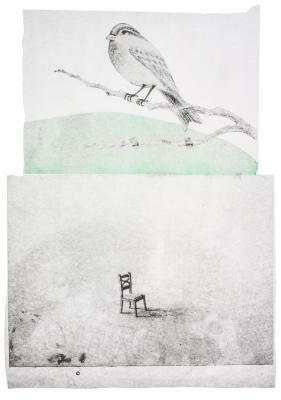 Alicia Wargo, Untie, llithograph, 22 in X 30 in, 2005.